It’s a fact that your home will be less of a target if it looks like someone is home. Even if no one will be home on Halloween night, you should create the illusion that your house is indeed occupied. Turn on the lights before you leave – lights that are visible from the outside – and maybe even turn on the TV. Don’t worry about kids who will come to your house looking for candy thinking someone is home – they’ll just move on to the next house. Even if you are going to be home on Halloween night, lock the doors. This will prevent anyone from entering your house. When the doorbell rings or you hear knocking at the door from trick-or-treaters, look before you open the door to confirm that it really is just little kids and their parents. Furthermore, lock all the windows, and only open the windows of the room you’re in. Finally, don’t leave a spare key outside. 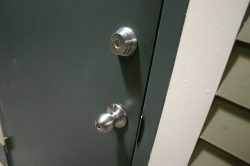 By now, criminals know the common hiding places and can take the key to use later. 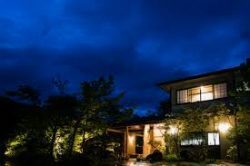 Even if a thief ignores the previous signs and makes his way onto your property, you can scare him off with motion detector lights. The last thing a burglar wants is to be seen, so installing these lights around your property is a good defense mechanism. 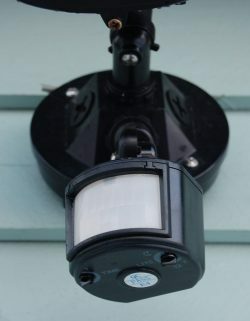 The best spots for these lights is on your driveway, walkway, and at any entrances to your house. 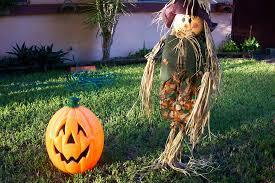 While scaring off potential burglars, this will also alert you that someone is on your property – trick-or-treaters or otherwise. While Halloween is a fun holiday for everyone, we want to remind you to stay vigilant and remember that burglaries can happen at any time, regardless of holiday observance. If you have questions about how a home security system can protect you and your family, contact Instant Alarm by phone at 800-499-9070, or visit our website at https://instantalarm.com/. From all of us at Instant Alarm, we wish you and your family a safe and happy Halloween!